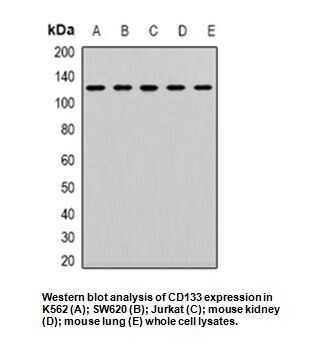 Anti-CD133 Antibody | A1622 | BioVision Inc.
May play a role in cell differentiation, proliferation and apoptosis. Binds cholesterol in cholesterol-containing plasma membrane microdomains and may play a role in the organization of the apical plasma membrane in epithelial cells. During early retinal development acts as a key regulator of disk morphogenesis. 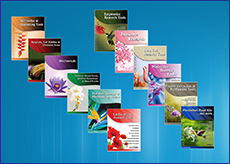 Involved in regulation of MAPK and Akt signaling pathways. In neuroblastoma cells suppresses cell differentiation such as neurite outgrowth in a RET-dependent manner.